The Siberian Husky dog originated in Siberia, and they are known for their beautiful thick coats of fur. Well, fur didn’t prevent this little guy from getting stung by a bee. It appears that he may have even tried to eat the bee. The telltale sign? Look at his giant cheeks! 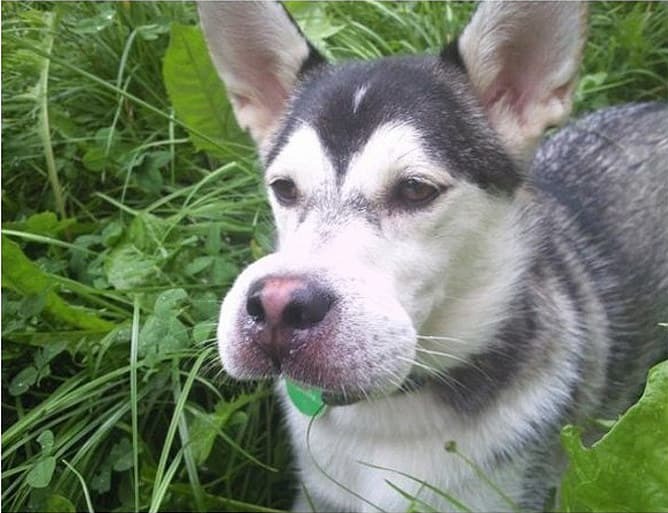 This pup obviously thought a bumble bee would be a nice little snack. Or maybe the flying insect was annoying him. Little did he know that the flying creature would fight back, particularly when attacked by a four-legged animal. Hopefully it didn’t take too long for the swelling to subside.